Creating outdoor living spaces allow you to extend your home into the outdoors which, in turn, provides you with more gathering space for friends and family. Comfort and abundant seating is not the only factor taken into account for many deck and patio spaces these days; creativity is also a major factor that is becoming more commonplace. 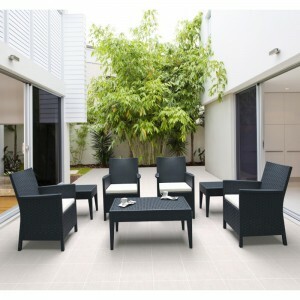 Like indoor furniture, outdoor furniture represents your style and your home's decor. Do you prefer the traditionally styled, contemporary styled or modern styled furniture pieces? 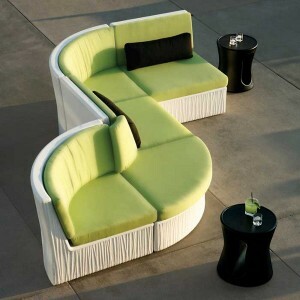 Ample and inspired patio seating can be found in the form of sofa sectionals to seat multiple individuals or a singular hanging chair with room for one. 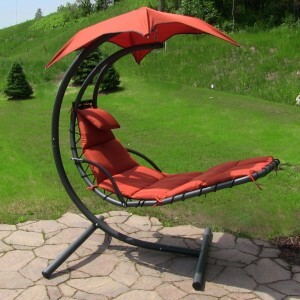 So I went on a search for Unique and creative outdoor seating styles to help spark some ideas to make your outdoor space both unique and luxurious. 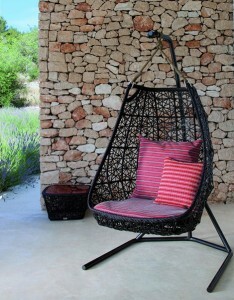 Whether you go modern, traditional or anywhere in-between a number of items on this list of unique and creative outdoor seating are sure to please both you and your guests. Provide enough room for everyone to be comfortably seated. Designed with contemporary style in mind, this sectional sofa will stun and impress all who use it. 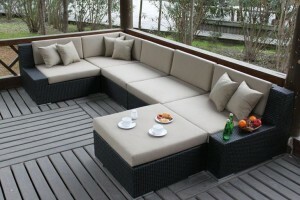 It also featured a brilliant synthetic wicker that is much easier to maintain than genuine wicker.